The Miss Yvonne’s Swim School has been teaching people to swim since it opened 2002, serving over 200 students each year.After learning to swim at the late age of 15, I became certified as a Water Safety Instructor (American Red Cross certified) and Lifeguard (American Red Cross CPR, First Aid & AED certified). Since 2004 I have taught children’s group & private swimming lessons coached a swim team and worked as camps. As an undergraduate at Stevens Institute of Technology, I swam on the varsity team. Having completed a Masters in Physical Education in 2013, I am a licensed teacher in the State of NJ. Also, I am a Certified Personal Trainer and Fitness Instructor. I integrate into class, encouraging children to love exercise by swimming! I am also certified as a Lifeguard Instructor (American Red Cross LGI certificate). 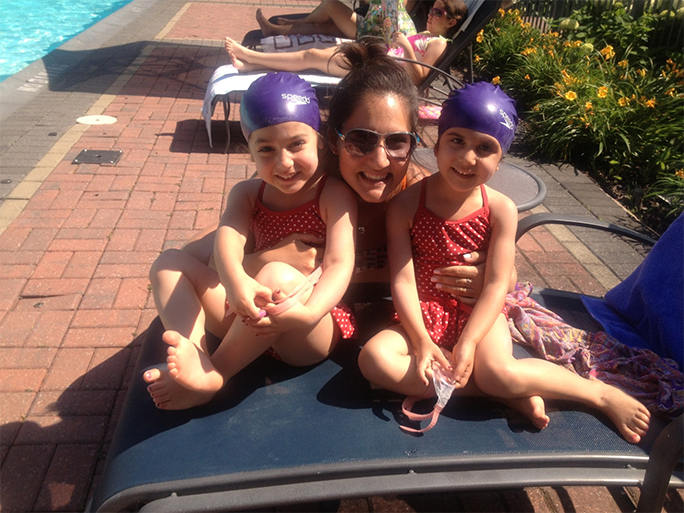 Our team is very excited to share our love of swimming & water with your child. Hope you will immerse your child in our program that will be led by Teacher Counselors and together we can create summer memories and foundations that will last a lifetime becoming strong, safe, happy, swimmers together!